This Saturday, November 10th, from 9:30am, in the officesof Officine Maccaferri in Zola Predosa (ViaKennedy 10), Bologna, job intereviews with companyexecutives will be held. 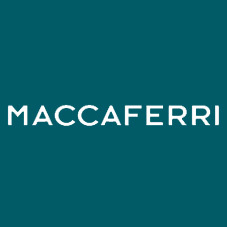 The event aims to raise awareness of the company to young engineers in Italy, and to identify adozencandidates for a future career in the overseas offices of the company which is part ofthe Maccaferri Industrial Group. Successful candidates will begin in January 2013, with a six-month paid internship, followed by a 12-24 month training course (depending on future job: technical, commercial or industrial), duringwhich the candidates will be given the opportunity to learn the language of their destinationcountry. The selection is open to all engineering graduates in the country up to 26 years of age with a good knowledge of the English language, not to mention the availability and desire to face a new life awayfrom home! Young engineers interested in attending should contact Openday@maccaferri.it enclosing their current CV.